Hacking is the most promising and probably only viable way to invent and build sustainable, circular cities that are places for individual freedom of its residents. Why? Here is our Mission Statement about City Hacking and our program ‘Hackers Closing Loops‘! ‘to break a systems limitations’. So, hacking is about ‘repurposing’ systems and add possibilities or meaning to them. Is a famous quote by Wau Holland. The term “hacking” was coined at MIT in the 1950s. It meant a creative technique where you take a system and use it for something entirely else than the initial designers of the system have intended by just doing a few small changes. Small modifications with a big impact. So this is key to our argument here: Hacking does not mean to build something new! It about unlocking new things in existing things! At MIT a hack can be quick and dirty and unelegant, but it is most likely something very smart and creative. We know for decades that we “run the planet” in a very unsustainable way. But if you look at the current state of things you’ll find that this knowledge didn’t create any change. On the contrary: Climate change, resource depletion, loss of species … everything moves even faster than a couple of years ago. Why are we not able to create sustainable change? A great explanation for this offers the Lock-In Effect. Most of the time the things we know because we have only read or heard about them have very little impact on our daily decisions and thinking compared to the existing structures and things that surround us, that we are living in, that we use everyday. This means that an unsustainable world will constantly force unsustainable ideas, plans and actions into our mind and life. Here is an example to illustrate this: It is important to teach our children not to jump on the middle of the street because cars drive there! A child that doesn’t know this lesson will not survive in the city. But with the same lesson the child also learns that our society values cars and uses them as a solution for mobility, and that the best part of the street is not for the humans but for cars. And then later in life when the kid is grown up and has to solve a problem that involves mobility it is very likely that a car will be part of the solution. What is not developed in children’s minds is creative thinking about what else you could do with all the fantastic space between the buildings in our cities. Another example: Imagine you teach design students in universities how to create really sustainable open source circular products – like I do. You get the chance to talk to them once, or maybe once a week. They’ll listen, yes, and are inspired. But in their daily life they are surrounded by thousands of existing products that are all linear and closed source! Their voice is much louder and they probably have a much bigger impact on the mind and creative thinking of the students. A last example: Try to go to a hardware store and find the supplies to build a really sustainable product or home. A modern hardware store offers you fantastic opportunities to create shiny things yourself. But most of it is unsustainable, linear, throw-away-stuff! And now ask yourself: where do you start to plan your project: It usually starts with the stuff that is available to you in your hardware store. So you plan already an unsustainable thing when you get creative. The culture we are locked-in shapes what we can do and even imagine! The world around is is like a permanent lesson about how to create an unsustainable world, leaving little or no space to imagine a different one. Most people are unable to even invent phantasies of sustainable cities. Our imagination for sustainability is blocked! I met a french researcher who is researching sustainability for 20 years! And she could not come up with a way how to structure her german-french research project without flying back and forth between the countries every other month. Can you? O P T I O N 1 : Smash down our cities and rebuild everything from scratch. But that is not a solution! For tons of reasons. It would be energy disaster (construction is very energy intense) to name just one. O P T I O N 2 : Hacking! Hacking seems to be indeed the only way out. Because it means to give an existing system an entire new purpose with just doing a few minor modifications to it. Repurpose what is there. Can we use – after some small modifications – a linear world like a circular one? Yes! Let’s hack our cities and with this unlock our minds by providing them the experience of living in a sustainable structures. Don’t reuse existing things, hack them first! 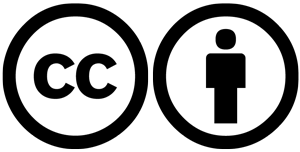 – Image from an earlier text (2013) expressing this idea. The image needs an update though. The development of our culture progresses. This means we find ourselves surrounded by a growing number of complex, technical systems. The majority is too complex to be understood by a single human being. But in the end these systems express intentions. It is very scary but the reality that thousands of intelligent people work hard to build a ‘smart city’. Many of them push for smart city that is data driven and therefore puts us all under heavy surveillance: Our movements, habits, social circles, heart rate, adrenalin level and blood sugar will be intercepted by sensors and sent to companies so they can deliver services, opportunities, choices and information in return. A perfect world! But perfect for who? In the end this is surveillance. And surveillance is a great tool to enforce existing power structures! And the current power structures are linear and unsustainable. So surveillance works against sustainability. is might be a bit hard to understand. But imagine you want to set up a little urban gardening experiment in your street. Would you still do it when the street is watched by 10 surveillance cams? So we need to hack these systems to break the limitations they force on us and work politically to stop their growth. Or maybe simply teach us and everyone how to bust every sensor wall and bypass all surveillance systems. This might be necessary to make us fit for the sustainable reinvention of our world and cities. And this is what the program “Hackers Closing Loops” by Mifactori (Hyercircularity) is all about. It investigates hacking as a method to invent and experience the open, circular and free city. It aims to build an accessible open toolbox and a list of examples for everybody to study, use, build upon and contribute to. 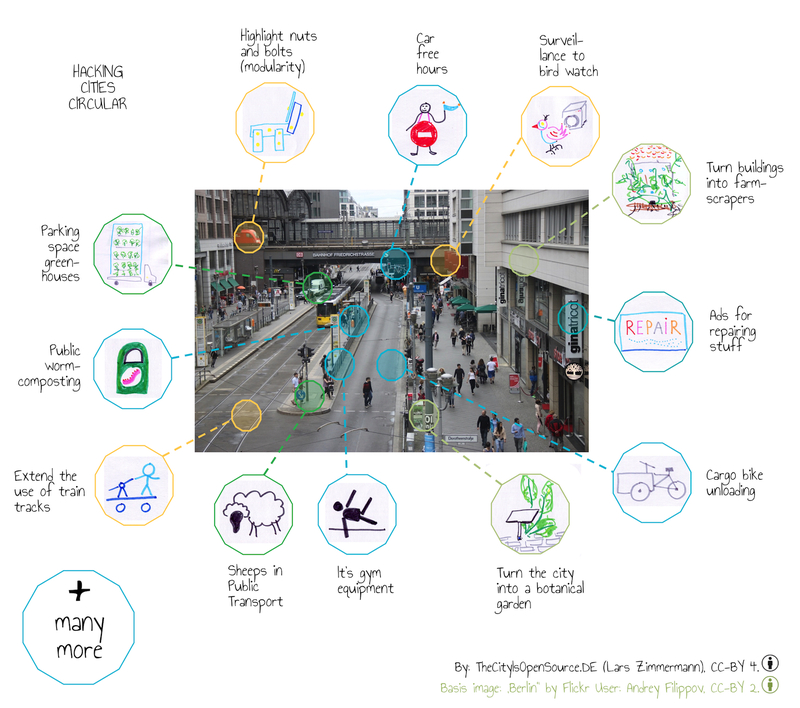 Hack our cities for freedom and circularity! The program is on the road. We love to invent and discuss hacks for and/or in partnership with other organizations and to create things in open events. Invite us. Or just start hacking! Theory/Explanation: What Is City Hacking? This mission statement was created in 2013 in preparation to the first city hacking academy that was part of the OPENiT festival of Open Circularity. 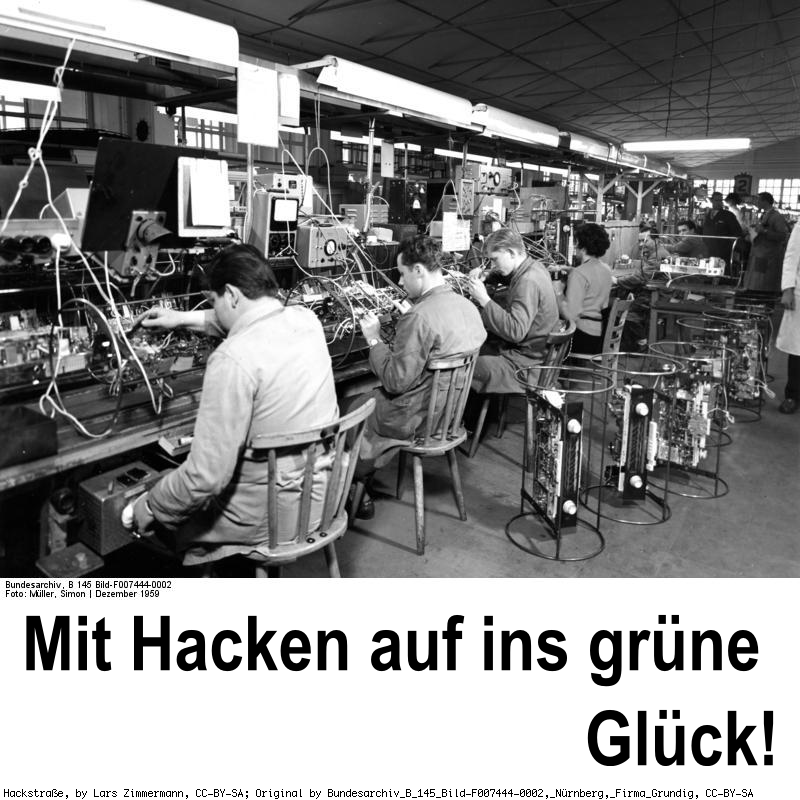 Im Programm “Hackers Closing Loops.” erforscht Mifactori (hypercircularity) Hacking als Methode zur Erfindung und Entwicklung nachhaltiger und freier Städte. Warum Hacking der wohl einzige Weg ist, Kreislaufstädte zu erfinden und zu bauen? Überwachung ist ein mächtiges Tool, um existierende – lineare (unnachhaltige) – Machtstrukturen zu stärken. Sie hilft dabei, existierende Strukturen zu stabilisieren. Überwachung arbeitet gegen nachhaltigen Wandel. Das mag erstmal etwas schwer nachvollziehbar klingen. Aber stellen Sie sich einfach vor, sie möchten gern ein kleines Urban-Gardening-Experiment in ihrer Straße installieren. Würden Sie es immer noch tun, wenn die Straße von 10 Überwachungskameras gefilmt wird? Und darum geht es im Programm “Hackers Closing Loops” (deutsch etwa: “Hacker schließen Kreisläufe”). Das Programm untersucht und promoted Hacken als ein Werkzeug, die offene und freie Kreislaufwirtschaftsstadt zu erschaffen und zu erleben. Es erstellt eine offene Werkzeug- und Beispielliste, die frei studiert, genutzt, erweitert und ergänzt werden kann. Wie hacken wir unsere Städte zirkulär und frei? Das Programm ist auf Reisen – mit dem Zug, im Netz und im Ausnahmefall auch mit dem Flugzeug. Wir erfinden und diskutieren Hacks gerne für oder in Zusammenarbeit mit verschiedensten Partnerorganisationen und entwickeln sie in offenen Veranstaltungen. Laden sie uns ein. 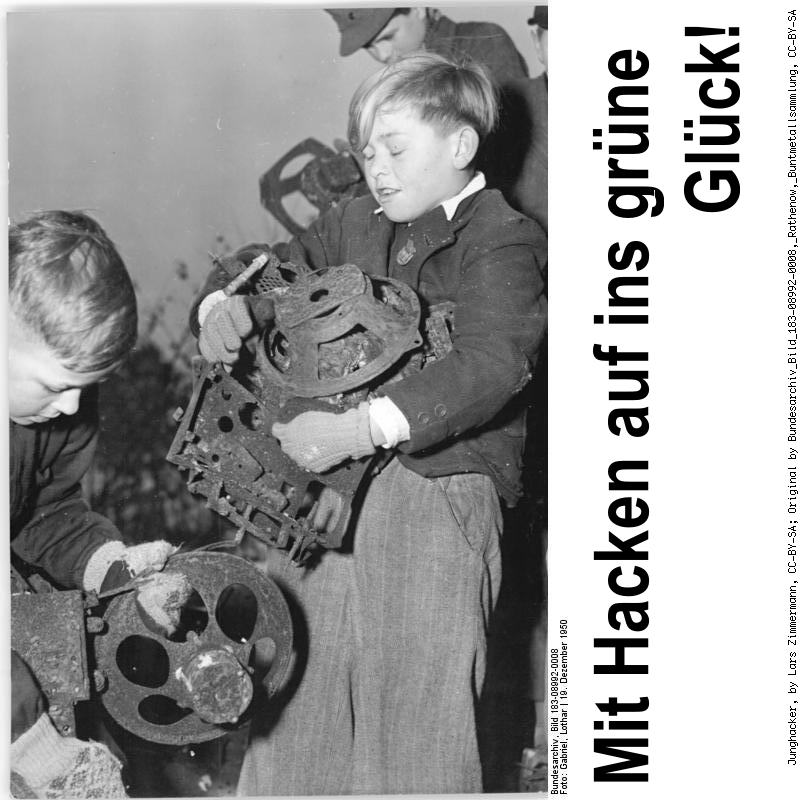 Oder fangen sie einfach an zu Hacken! 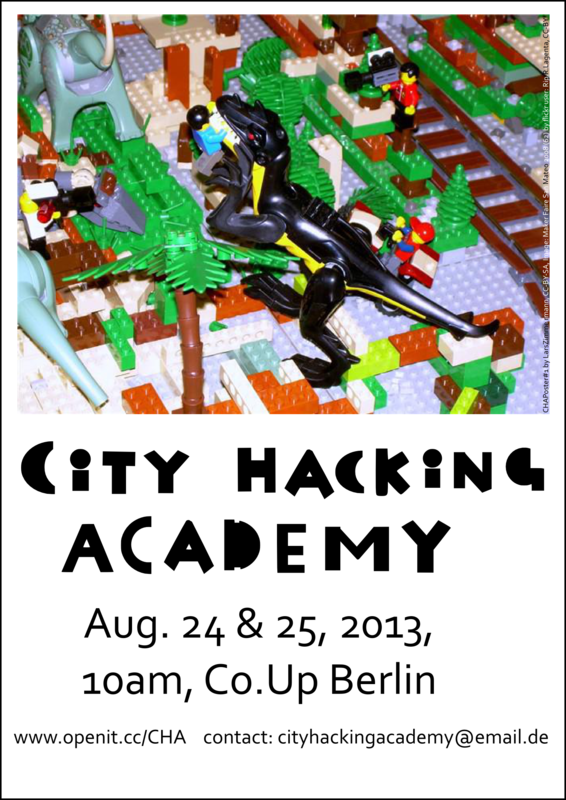 (1) Posts in der Kategorie “Hackers Closing Loops” | (2) Erklärtext: Was ist City Hacking? | (3) Ein Video mit Erklärungen und Beispielen in Englisch ist verfügbar hier | (4) Verwandtes Posting: Erfinde kein neues modulares System, nutze (und hacke) lieber ein existierendes | (5) Die englische Version oben hat im August 2018 kleine Erweiterungen bekommen. Wem die Sache noch unklar ist, kann oben schauen, ob er Antworten auf noch offene Fragen dort findet. This text was iterated and moved several times. 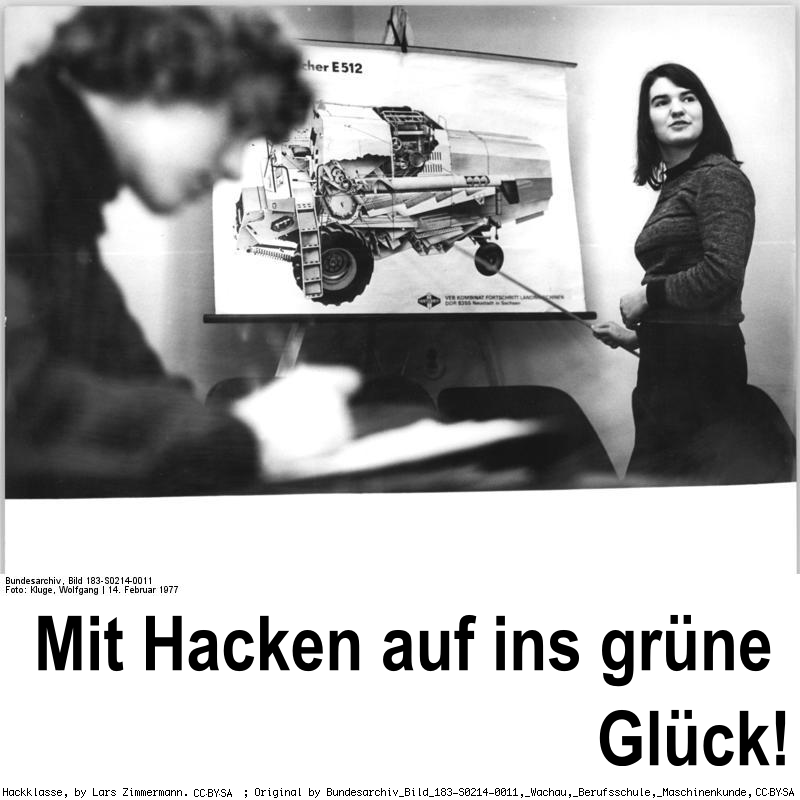 A first version was posted in 2013 here (german title: “Mit Hacken auf ins grüne Glück”). The Mifactori project behind it got relaunched in 2015 under the name “The City Is Open Source.” The mission statement got finally updated in 2016 on that page and was moved in 2018 to here when more of the Mifactori activities were brought together on this page. 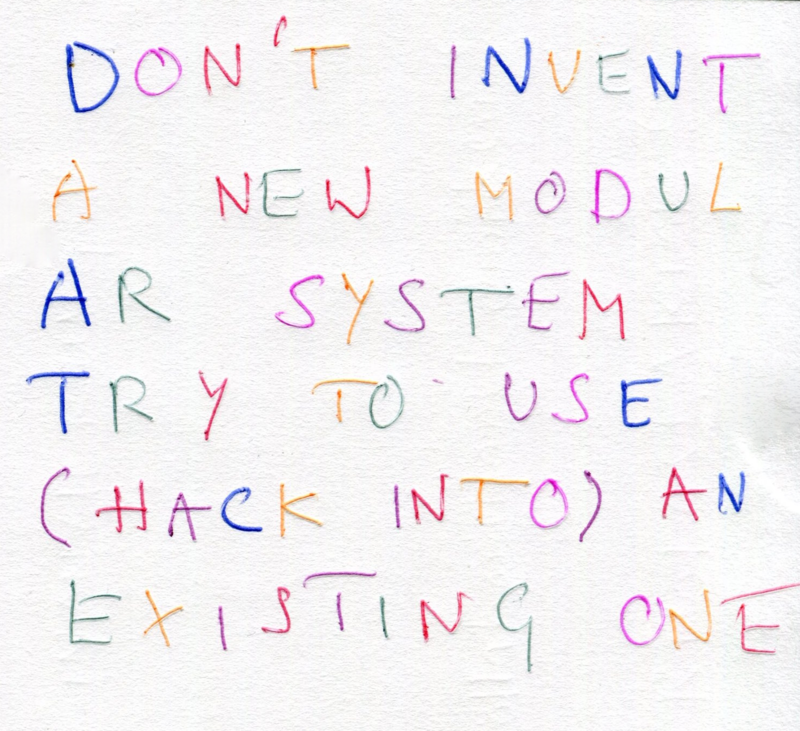 Don’t Invent A New Modular System, Try To Use (Hack Into) An Existing One!